Whimsical? Yes. Serious? Yes. Practical? Yes! How does a person keep their brain happy and in good repair? This unorthodox, slightly irreverent book goes beyond the psychiatric labels and medications. 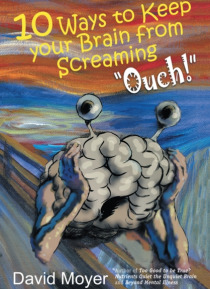 It provides specific leading-edge interventions readers can implement in consultation with their health care providers to prevent and treat "e;screaming brains. "e; Topics range from beets and… the brain to bugs in the brain. In the final analysis, having a happy brain boils down to taking in what is good for it and avoiding that which is not good for it. In the eBook format, readers can access links that support the main ideas in the book.This is the second of three books in The Transformation Trilogy, a series that challenges the current definition of mental illness and envisions a future where people can find definitive treatment for underlying biomedical disorders. The first book in the series, a medical memoir entitled Too Good to be True? Nutrients Quiet the Unquiet Brain, points out the limitations of current standard of care practice, using the author's family's history to illustrate. This book was revised in 2014 to an eBook simply called Nutrients Quiet the Unquiet Brain. The third, Beyond Mental Illness, envisions major changes in the mental health care system of the future when people can transform their labels so they can begin the process of transforming their lives.